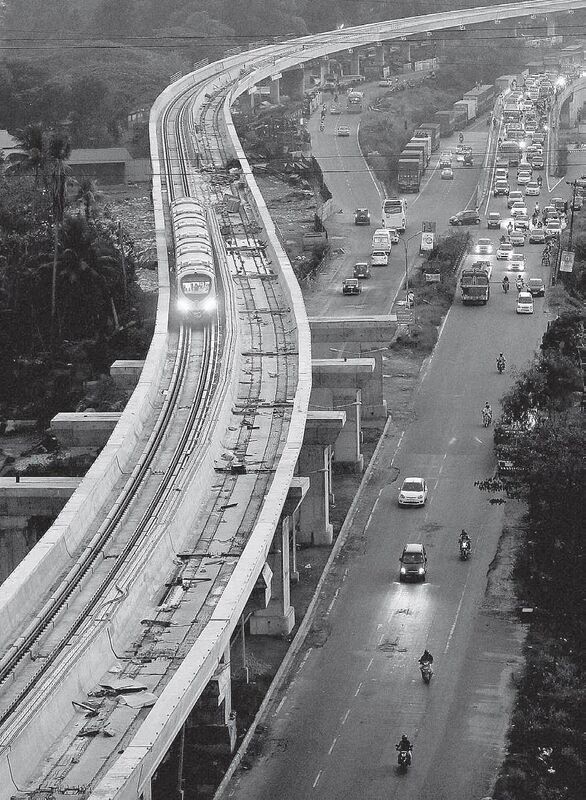 The minimum fare of the Kochi Metro, for a distance of two Kilometers, has been officially set at Rs 10. KOCHI: Commuters travelling via the Kochi Metro Rail, once it becomes operational, would have to pay a minimum fare of Rs 10 and a maximum of Rs 60 for the ride. The rates of the Metro were finalised in a meeting of the Board of Directors of Kochi Metro Rail Limited (KMRL) here on Tuesday. As per the finalised rates, Rs 10 will be charged for the first two kilometres, while a person who wishes to travel the maximum distance of 25 km from the Metro’s point of origin (Aluva) to Tripunithura-Pettah will have to shell out Rs 60. Though KMRL authorities admitted that the proposed fares were higher than that of buses, they added that the rates were finalised considering the comfort, time-saving and dependability of the Metro. “The approved fare structure also compares favourably with other metros across the country,” they added.The board also approved the optimum fare structure recommendations, which were prepared on the basis of a study by IIM Bangalore. The study had proposed that ‘fare zones’ be allotted on the basis of their proximity to and from the point of the Metro’s origin, which is Aluva in the first phase. The fare zones will be named F1, F2, F3, F4, F5 and F6, for the distance that is a multiple of five. After the first 2 km, for which the minimum Rs 10 would be charged, the rates would increase by Rs 10 for subsequent fare zones. Meanwhile, the meeting, held under the chairmanship of secretary of Urban Development Ministry Rajiv Gauba, also authorised the management to take a call on special discounts on fares for users of the ‘Kochi1’ Smartcard and mobile app. It further approved Kochi Metro’s advertisement policy, station naming rights policy and the station interconnection policy, along with other related strategies that would be implemented to aid in alternate revenue generation for the metro. The board also reviewed the project’s progress and the schedule of progress for the next few months.